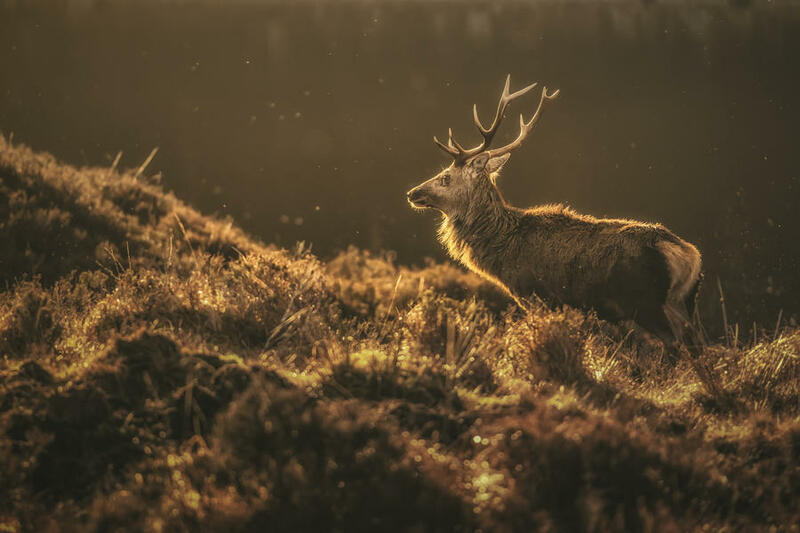 If you want some good advice on where to visit then you should consult the British Deer Society’s website which is an all-around excellent resource for all you deer knowledge. 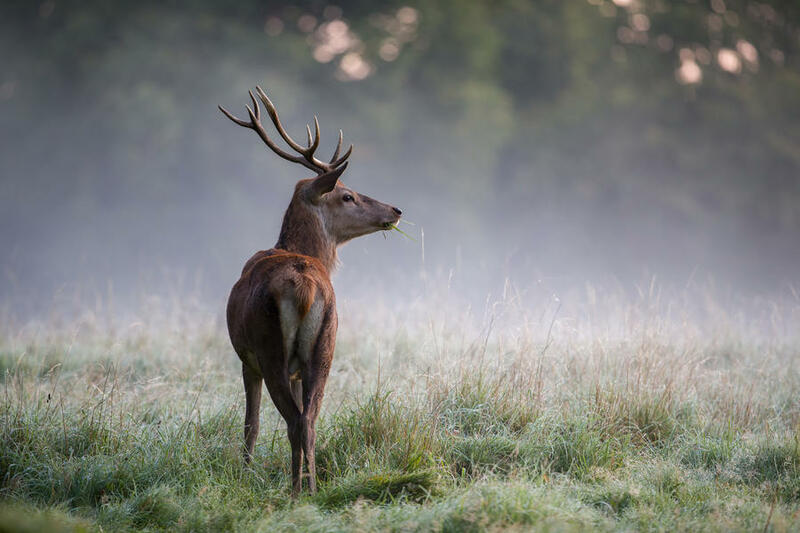 This will help you identify the nearest location to you in which to find deer, particularly the numerous deer parks that are spread throughout the UK. This is true of any subject, but it’s especially true of wildlife. In order to walk away with successful shots of deer, you must understand their behaviour. That means spending time out in the cold and simply waiting and watching. Study them. Make notes. Don’t necessarily leave your camera at home but don’t feel inclined to get overexcited and snap away. Get to know them first. Also, be aware that there are many breeds of deer (red deer, roe deer, Chinese Water deer, et al) and not all of them will act the same way. Once you arrive at a location, you may be unsure as to which areas have the greatest concentration of stags and deer. Be on the lookout for the gnawed and stripped bark on trees, hoof prints and worn tracks. Keep your eyes peeled for fresh dung. The more there is, the more likely it is you’re in the right area. 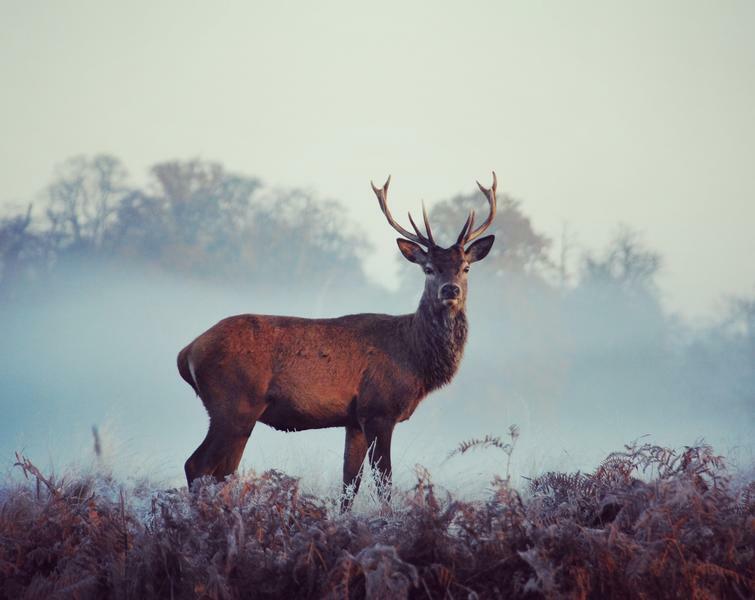 As with the majority of wildlife, deer and stags tend to be at their most active during the early morning and evening. That’s not a golden rule but it’s best to start out with this in mind. What this means, though, is that you can take advantage of the particular conditions that are the mark of autumn and winter mornings. The early morning mist is always a welcome addition to any wildlife or landscape image. It’s an atmospheric element and one that can help diffuse the light. Additionally, at both times of day, you’ll find raking golden light spilling into your scene and bathing your subject in ethereal light. Autumn and winter will often find your location subject to the kind of temperamental weather that we are so blessed with on the shores of the UK. Miserable conditions should be catnip for you, though. Rain and grey skies are wonderful compliments to the majesty of stags who are ready to do battle with their opponents. 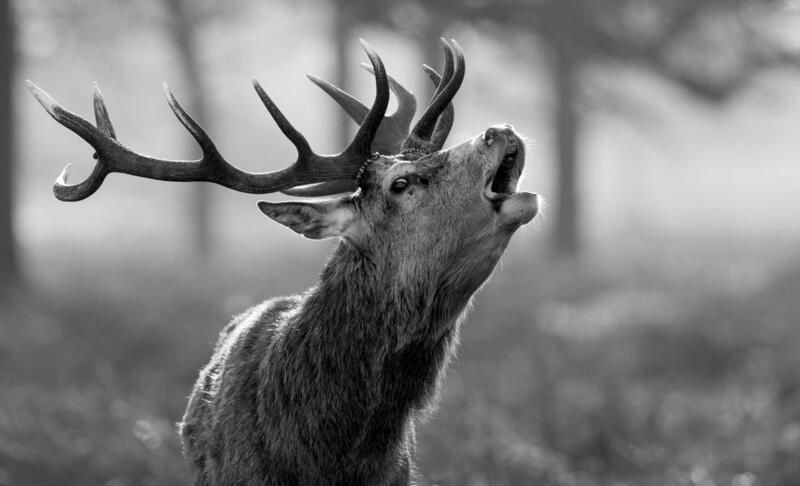 It’s worth attempting a close-up portrait shot and capturing the clouds of breath that stream from the stag’s mouth and nostrils as it emits a roar to either intimidate its opponent or signal its victory. 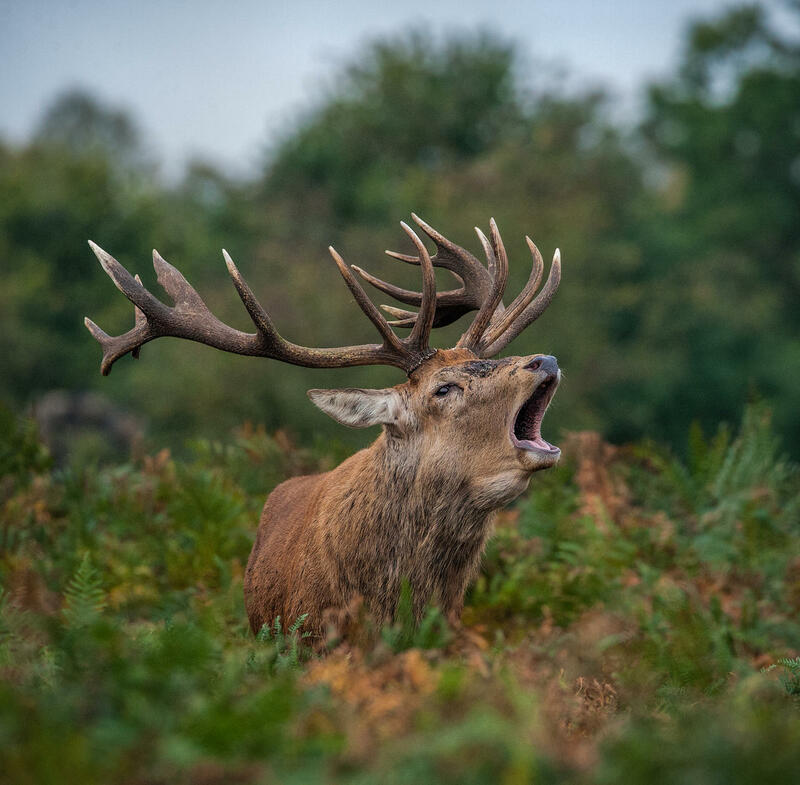 Be on the lookout for something called the flehmen response (not exclusive to stags – lions and horses, among others, also do it) in which the stag curls back its upper lip, exposing its teeth and flares its nostrils. This is a sign they’re smelling for potential mates. 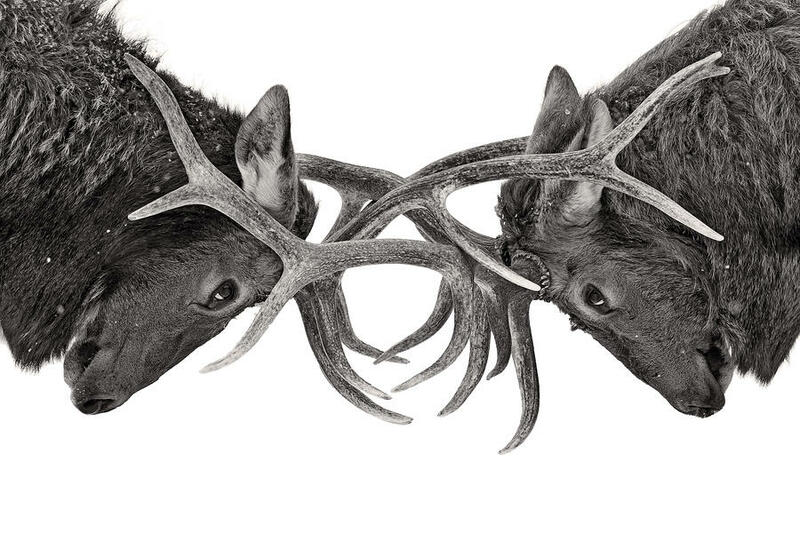 One of the most exciting things to capture is the intense battle between stags. Be on the lookout for posturing, roaring and, for lack of a better term, stags giving their opponents the evil eye. What follows is a sometimes-bloody battle where the stags will lock horns and attempt to assert their dominance and muscle in on an opponent’s harem. The fights are generally over quickly so be swift. 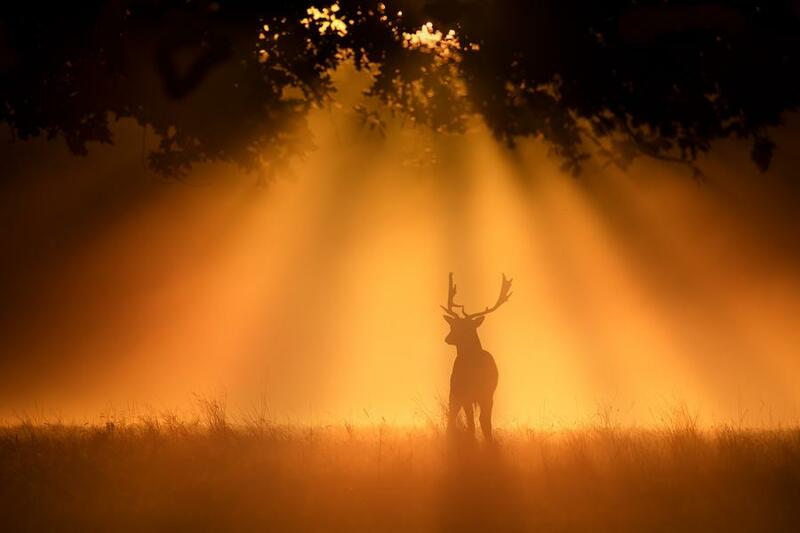 One common visual theme you’ll often see with deer and stag is silhouettes. These animals, particularly with the antlers, have a distinct outline making them perfect for this technique. It’s especially effective in the morning and evening where the background is a rich orange and red gloom. 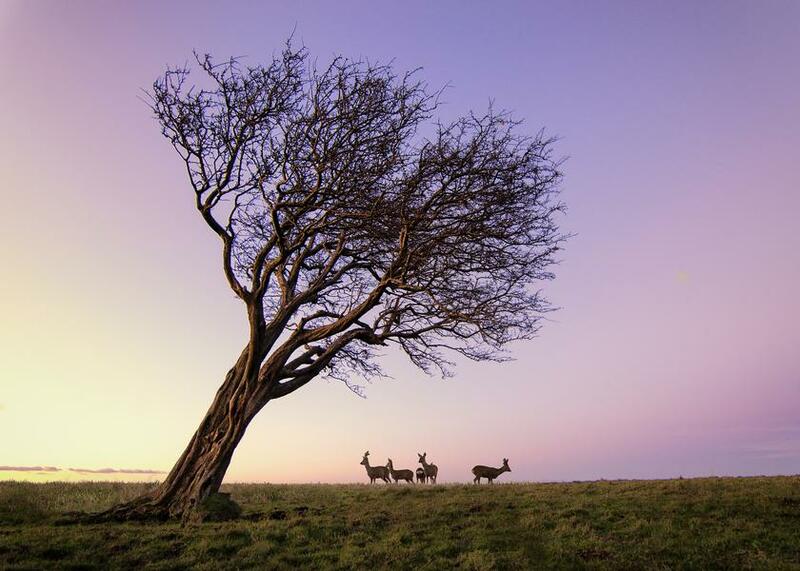 Just make sure your deer or stag is stood in profile and you expose for the highlights (the sky and background). 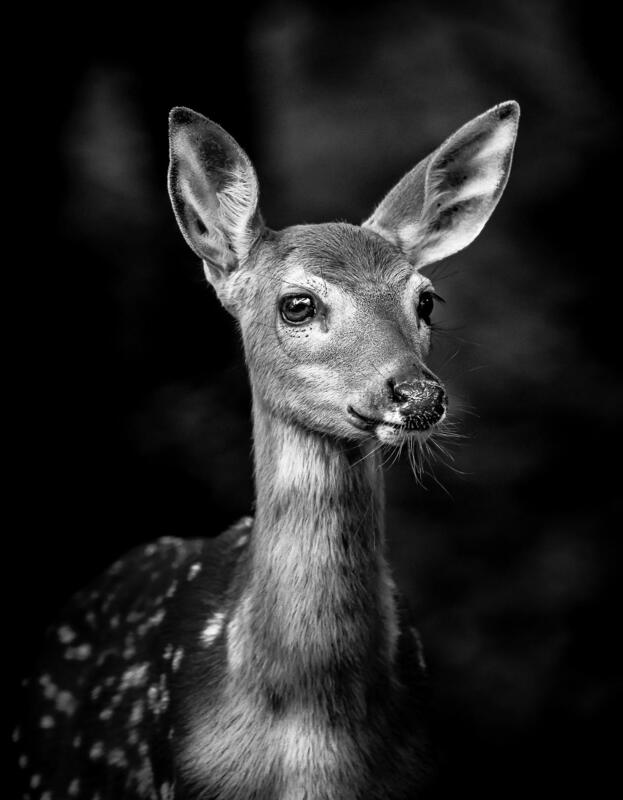 If you’re taking pictures in one of the many deer parks found around the UK, then the deer will be more accustomed to humans meaning they are less likely to bolt when they see or smell you. However, you must still stay as quiet as possible and approach them from downwind so your scent doesn’t spook them. This is especially important in the wild. You will also need to be patient. Wildlife doesn’t tend to follow directions so be prepared to wait around for some time to get your desired shots. 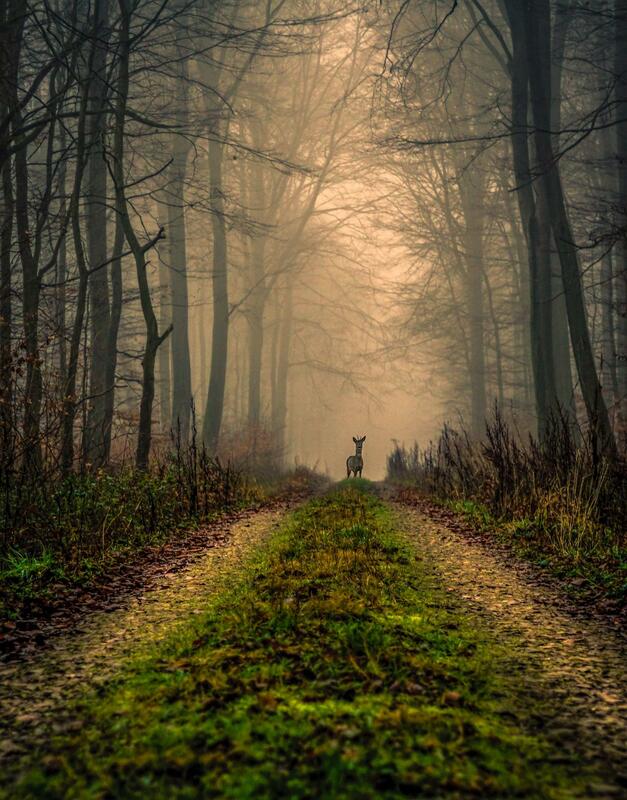 Even if they’re accustomed to people, deer and stags still require you to stay away from them. Injuries are rare but keep in mind that you are still dealing with wild animals who carry around their own devastating weaponry. That means shooting with zoom and telephoto lenses, such as a 70-300mm or a 200-400mm. 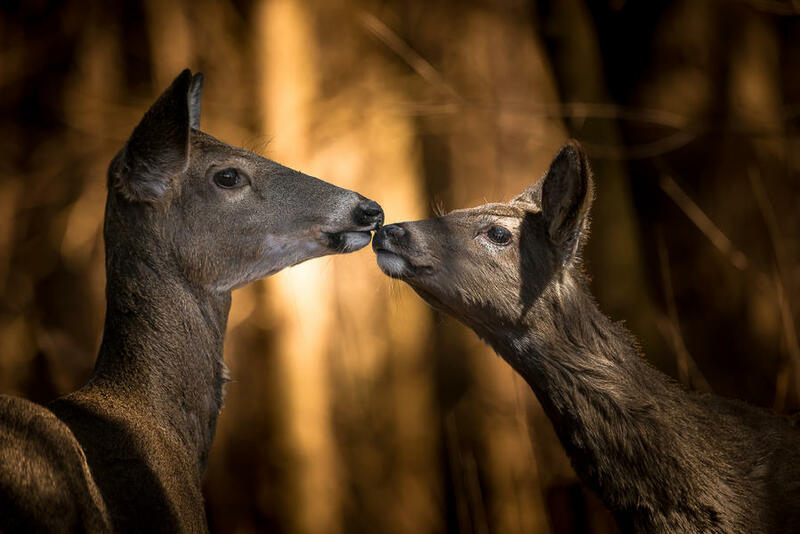 This will give you more than enough coverage and means you will have good flexibility if you want close-up images of the deer’s body and face. Aperture priority is a good bet here. This will give you an attractive depth of field that will make your subject stand out from the background. It also means you can quickly adjust to achieve a faster shutter speed if the action of a conflict suddenly speeds up. You’re likely to be going out in cold autumn and winter conditions so it goes without saying that you should wrap up warm and wear a pair of comfortable walking boots. But also make sure the clothes are wearing consist of muted colours that blend into the environment and are made of ‘silent fabrics’, otherwise you risk scaring the subject with loud rustling cloths. Deer are sensitive creatures. You must remain as silent as possible at all times. 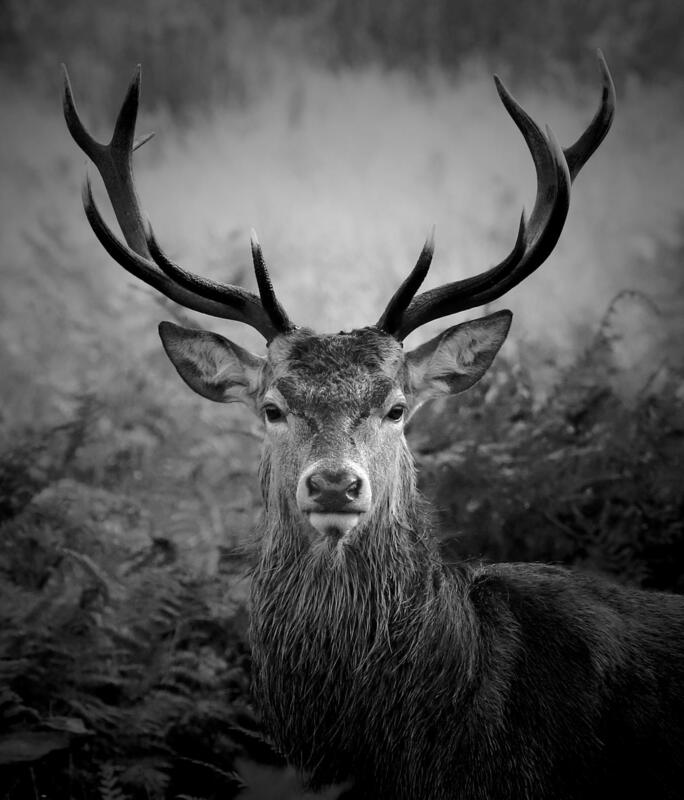 If you have any advice about photographing stags and deer, let us know in the comments below.